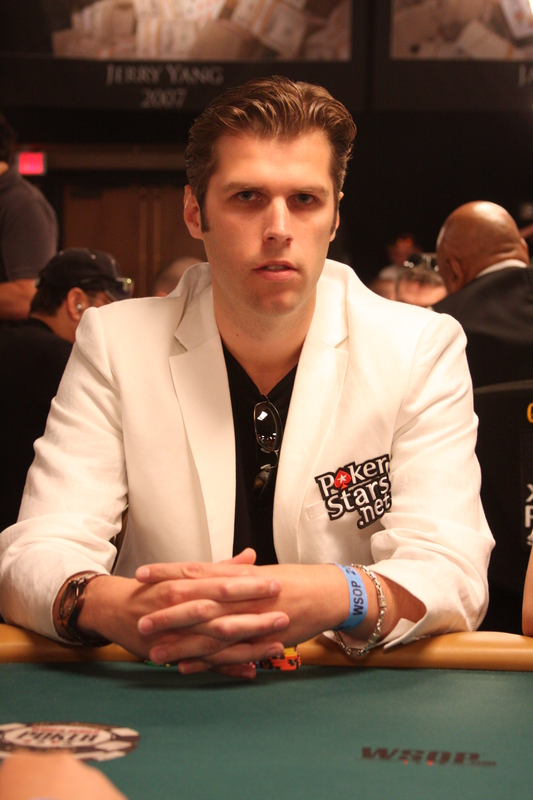 This is the 1st blog in a series of 4 in which I’m looking back at my professional poker career which started 5 years ago. When you discover something new the first steps are always the most exciting. Poker had actually been something I had done a lot before when I re-discovered it somewhere in 2005/2006. I remember everybody was crazy back then about the game. You could walk into a random bar and you saw people playing poker and having fun. At first I wasn’t really interested as most people played without any money, but when the hype grew bigger play-money became real-money and people understood that bluffing was something completely different when there was money at stake instead of just chips. We all played as much poker as we could and my favorite bar hosted small tournaments which attracted 70+ people easily. All my friends were playing poker and the whole vibe about poker was really fantastic. Soon I helped organizing a weekly tournament with a leader board and after my hometown casino started offering poker things became more serious. In 2006 I played some poker in Vegas but in 2007 I was really going for it, playing Limit Cashgames in the Bellagio and even trying to qualify for a $1k daily event in the Bellagio during the WPT. I played a $240 Sit&Go which paid 2 seats and some money for 3rd place and I won it! The next day I would play the $1k and I finished around 34th place with 27 people ITM, so close! I remember Noah Boeken, Thierry van den Berg & Rob Hollink being in the Bellagio as well that year, all three showed up this year during the Master Classic of Poker in Amsterdam and Noah even won the main event this year, crazy. After I came back from Las Vegas I really wanted to give poker a serious shot, the hype was still going strong in the Netherlands and there was a lot of easy money to pick-up so I moved away from friendly pub games and tried my luck in home games. Starting out, playing for €5 bucks with loads of people who were crazy about the game and who all were trying to become the best is what motivated me to study the game and try to become better at it. The buzz around poker in those years was really fantastic! In 2007 I had started to play online and played a bit more hands every month. I was still only breaking-even at $2/$4 full-ring ending the year with a little over 120.000 hands. In 2008 things got more serious and I wanted/needed a change in my life. Poker seemed the ideal way getting out of a “standard” life as an IT-Engineer and so I ramped up my play and basically decided to chase my dream by the end of 2008. I hadn’t won anything big but I knew I was good with managing my bankroll so the “gamble” to go pro felt kind of safe. In September I had a big downswing $ wise (and BB wise but in this graph it looks less worse) since I tried playing $10/$20 while I wasn’t even beating $5/$10 yet over a decent sample size but I recovered in October and November and by then I had moved up to 12 tabling and knew I could make plenty of money playing $2/$4 & $3/$6 because of the high rake and thus high rakeback. In December I launched a test month in which I wanted to see if I could play 16 tables and plenty of volume. I played 112 hours of poker besides my full-time job, I played every day including Christmas, played 110.000 hands within that month (341.140 hands for the year) earning $2.768 in rakeback alone and so I knew I could earn enough money in rakeback playing 16 tables even when I showed only a little profit on the tables. And while in September I wasn’t even really thinking about going pro, mid December I decided to ask my boss if I could start working part-time as of January 2009. If I now look at my stats from back then it was a pretty bold move but it didn’t feel like that at all back then. I was confident I was beating my opponents and I had plenty of time to get better, move up and the safety of my part-time job if things failed. Going Pro is my single best decision I’ve ever made in my life. January 2009 was my worst month ever so my start as Pro wasn’t really a good one. I kept confident, improved my game and after a great February and March I never looked back. I slowly moved to 20/24 tables and was beating all limits up to $10/$20 by the end of the year. 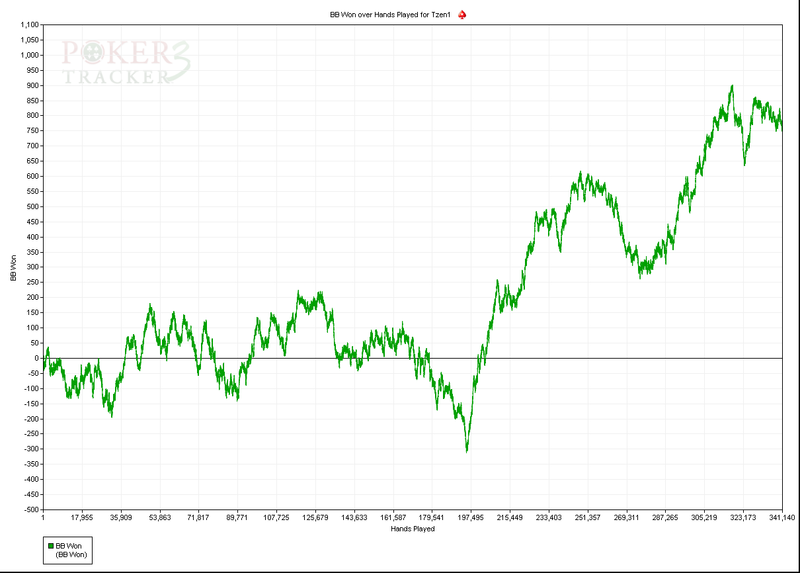 Playing 895.443 hands was more then I had hoped, the 742 hours I had put in was a little less then I had aimed for. Still 500.000 VPPs meant plenty of rakeback and together with the money I had won at the tables I had proofed myself as a Poker professional! Unfortunately I busted right after the dinner break after struggling all day long being outplayed by professional No-Limit players. Still it’s something I will never forget or regret, the vibe I had while playing the tournament but maybe even more important, the months leading up to my first big event was awesome! So due to my good results in 2009 I got the idea to go for SNE in 2010. One reason was the fact I would commit myself to play more hours than I did in 2009, the main reason was the awesome amount of rakeback it would guarantee. 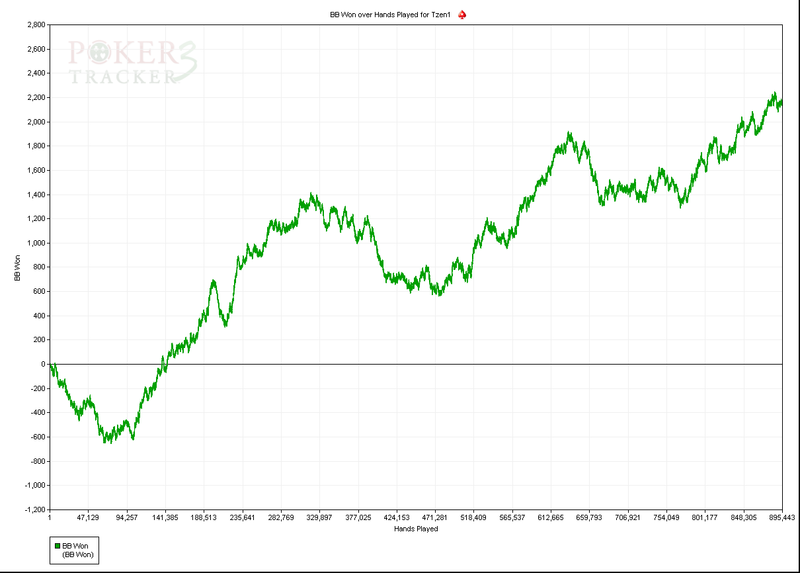 Since I was winning pre-rakeback during 2009 and was beating the LHE mid-stakes I was aiming for a $150.000+ year. I calculated it was doable next to my part-time job, which I wasn’t ready to give up yet, so I made a run for it in January also because my girlfriend was backpacking in 2010 for 5 months. As of the 1st of January I had myself on lock down and did nothing else then playing poker. After 5 days I had to work my regular job again and on the 6th when Scottyy (PokerStars site rep) posted the first VPP leaderboard on the 2+2 forum it triggered something in me. I was 5th overall and just wanted to stay high up that list so bad! Mid January I got my first huge losing session (over $4k) and I finished the month down $8k but I did earn 141,500 VPPs…..
With already so many VPPs it sort of felt like there was no way back but after a -$12k February I was kind of desperate. I moved down which meant I had to play more hours, I wasn’t ready to quit yet! 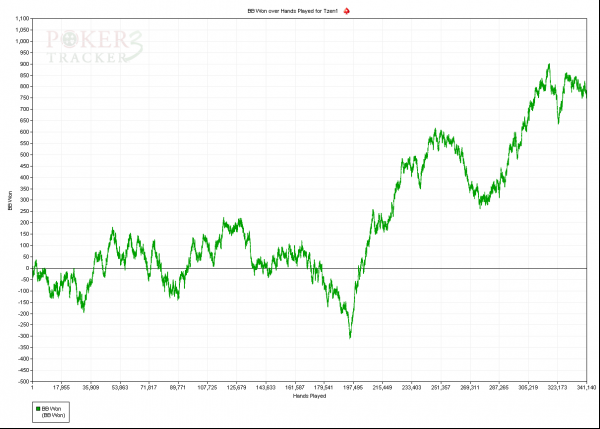 I won again in March, April and May were small losses and in June I hardly played. SNE was basically the only way to make it a proper year knowing that I would get a great amount of rakeback and the guarantee I would put in plenty of volume in the remainder of the year. I can’t say things turned out great, especially due to a -$15k November but it definitely brought out the grinder in me and while blogging the whole year I got more known in the poker scene, something which lead to an even bigger highlight in 2011. 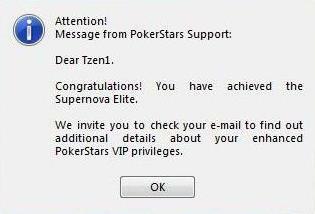 During my SNE run in my worst month on the tables ever I was contacted by PokerStars to join PokerStars: Team Online. This is of course something you never expect, especially not if you haven’t won any big tournament yet. It’s hard to describe what a great feeling this was, becoming part of a team you’ve always wanted to be part off and becoming a sponsored professional, unbelievable. Up to this day my journey within Team Online has been fantastic. Being an ambassador for PokerStars is truly a great experience and although we are mainly seen as a group of online poker geeks, the members of Team Online who I have almost all met in person are a fantastic bunch of people. Being together at the PCA once a year is always fun and really makes you feel you are part of a team. I’ve participated in great promo’s in which you can give something back to the poker community. Something by playing low-stakes ZOOM during a promo like last month or in events like the “Open Poker Dag” in which you are meeting poker fans face to face and answer questions which could help them in achieving their dreams in poker. I’ll probably write more about Team Online in my next blogs damn, making it this far was something I never expected back in 2008! 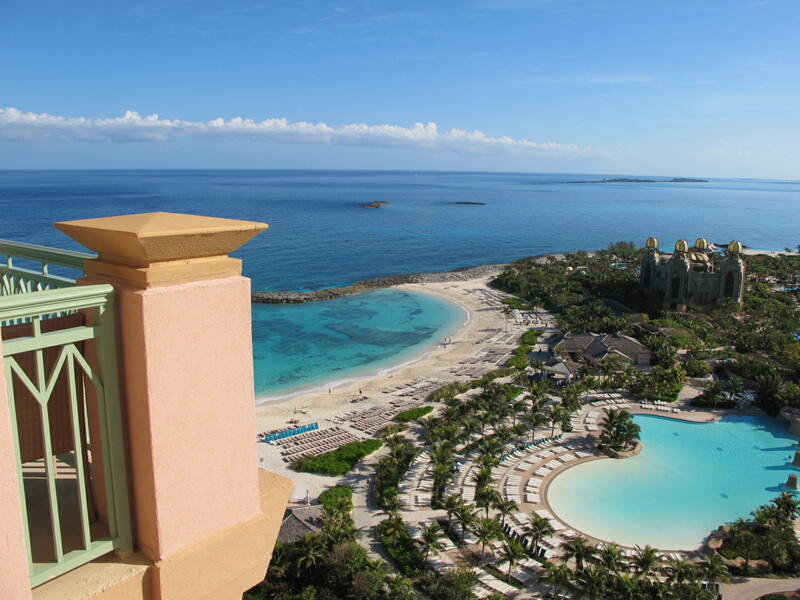 Also I’ve been to the PokerStars Caribbean Adventure (PCA) three years in a row. The first time was part of my SNE package in 2011 and took another shot in the $10.000 PCA Main Events. In 2012 and 2013 I came back to meet up with the fellow members of Team Online and like I already said this has been so much fun. I’ve always treated poker trips as “fun” while grinding online is something I see more as “work”. Playing live poker is the “real” poker as the human interaction for me is part of the real game. Trips like these keep the dream alive to win your “1 time” but also gets you in contact with fellow grinders, something which I think is really important if you want to stay connected with the poker community who can help you get better or keep the game interesting at times things are not going your way. Part of the reason wanting to play poker part-time was the fact that I found it very hard to stay healthy working a full-time 9-5 job. Since I lost a lot of weight in 2007/2008 I really wanted to change my life for the long-term but while working full-time sports was something which felt impossible to keep at the top of my priority list. It was just so much easier going cycling on Monday or Tuesday afternoon and playing poker afterwards. In 2010 I set the goal to cycle up Alp d’Huez in May that year while grinding for SNE. I’ve cycled up Alp d’Huez 4 times since , started to play tennis again which was something I couldn’t do anymore after having a hernia surgery years before. My weight have been going up and down but I’ve felt fit since 2008 and playing poker part-time is a big reason for this!